J. F. Bonnefon, A. Shariff, I. Rahwan (2016). The Social Dilemma of Autonomous Vehicles. Science. 352(6293):1573-1576. N. Stefanovitch, A. Alshamsi, M. Cebrian, I. Rahwan (2014). Error and attack tolerance of collective problem solving: The DARPA Shredder Challenge. EPJ Data Science. vol 3, no 13, pages 1-27. G. Pickard, W. Pan, I. Rahwan, M. Cebrian, R. Crane, A. Madan, A. Pentland (2011). Time-Critical Social Mobilization. Science. Vol. 334 no. 6055 pp. 509-512. M. R. Frank, M. Cebrian, G. Pickard, I. Rahwan (2017). Validating Bayesian truth serum in large-scale online human experiments. PLoS ONE. 12(5): e0177385. E. Awad, R. Booth, F. Tohme, I. Rahwan (2017). Judgment Aggregation in Multi-Agent Argumentation. Journal of Logic and Computation. 27(1): 227-259. A. Hiassat, A. Diabat, I. Rahwan (2017). A genetic algorithm approach for location-inventory- routing problem with perishable products. Journal of Manufacturing Systems. 42:93–103. I. Rahwan (2016). Towards Scalable Governance: Sensemaking and Cooperation in the Age of Social Media. Philosophy & Technology. (in press). H. Chen, I. Rahwan, M. Cebrian (2016). Bandit Strategies in Social Search: the Case of the DARPA Red Balloon Challenge. EPJ Data Science. 5:20. M. Cebrian, I. Rahwan, A. Pentland (2016). Beyond Viral. Communications of the ACM. 59(4):36-39. A. Alshamsi, F. Pianesi, B. Lepri, A. Pentland, I. Rahwan (2016). Network Diversity and Affect Dynamics: The Role of Personality Traits. PLOS ONE. 11(4): e0152358. A. Alshamsi, F. Pianesi, B. Lepri, A. Pentland, I. Rahwan (2015). Beyond contagion: Reality mining reveals complex patterns of social influence. PLOS ONE. 10(8): e0135740. A. Alshamsi, E. Awad, M. Almehrezi, V. Babushkin, P.-J. Chang, Z. Shoroye, A.-P. Toth, I. Rahwan (2015). Misery Loves Company: Happiness and Communication in the City. EPJ Data Science. 4:7. I. Rahwan, D. Krasnoshtan, A. Shariff, J. F. Bonnefon (2014). Analytical reasoning task reveals limits of social learning in networks. Journal of the Royal Society Interface. 11(93). I. Rahwan, S. Dsouza, A. Rutherford, V. Naroditskiy, J. McInerney, M. Venanzi, N. R. Jennings, M. Cebrian (2013). Global Manhunt Pushes the Limits of Social Mobilization. Computer, vol. 46, no. 4, pp. 68-75. V. Naroditskiy, I. Rahwan, M. Cebrian, N. R. Jennings (2012). Verification in Referral-Based Crowdsourcing. PLOS ONE 7(10): e45924. I. Rahwan and K. Larson (2011). Logical Mechanism Design. The Knowledge Engineering Review. Volume 26, No 1, pages 61-69. F. Grasso, I. Rahwan, C. Reed, and G. R. Simari (2010) Introducing Argument & Computation, Argument & Computation, Vol 1, No 1, pages 1-5. C. Guttmann, M. Georgeff and I. Rahwan (2010). Collective Iterative Allocation: Enabling Fast and Optimal Group Decision Making. Web Intelligence and Agent Systems. Vol 8, No 1, pages 1-35. N. C. Karunatillake, N. R. Jennings, I. Rahwan and P. McBurney (2009). Dialogue Games that Agents Play within a Society. Artificial Intelligence. Vol 173, No 9-10, pages 935-981. I. Rahwan, P. Pasquier, L. Sonenberg and F. Dignum (2009). A Formal Analysis of Interest-based Negotiation. Annals of Mathematics and Artificial Intelligence. Vol 55, Issue 3-4, pages 253- 276. B. Subagdja, L. Sonenberg and I. Rahwan (2009). Intentional Learning Agent Architecture. Autonomous Agents and Multiagent Systems. Vol 18, No 3, pages 417-470. I. Rahwan (2008). Mass Argumentation and the Semantic Web. Journal of Web Semantics. Vol 6, No 1, pages 29-37. I. Rahwan, P. McBurney (2007). Guest Editors' Introduction: Argumentation Technology. IEEE Intelligent Systems, November/December, Vol. 22, no. 6, pages 21-23. I. Rahwan, L. Sonenberg, N. R. Jennings and P. McBurney (2007). STRATUM: A Methodology for Designing Heuristic Agent Negotiation Strategies. Applied Artificial Intelligence, Vol 21, No 6, pages 489-527. C. Chesñevar, J. McGinnis, S. Modgil, I. Rahwan, C. Reed, G. Simari, M. South, G. Vreeswijk and S. Willmott (2006). Towards an Argument Interchange Format. The Knowledge Engineering Review, Vol 21, No 4, pages 293-316. I. Rahwan, T. Juan and L. Sterling (2006). Integrating Social Modelling and Agent Interaction through Goal-Oriented Analysis. Computer Systems Science & Engineering. Vol 21, No 2. I. Rahwan (2006). Guest Editorial: Argumentation in Multi-Agent Systems. Autonomous Agents and Multiagent Systems. Vol 11, No 2, pages 115-125. I. Rahwan, S. D. Ramchurn, N. R. Jennings, P. McBurney, S. Parsons and L. Sonenberg (2003). Argumentation-Based Negotiation. The Knowledge Engineering Review, Volume 18, No. 4, pages 343-375. R. Booth, M. Caminada, P. E. Dunne, M. Podlaszewski, I. Rahwan (2014). Complexity Properties of Critical Sets of Arguments. In: Proc. Int. Conference on Computational Models of Argument, (COMMA), Pitlochry. R. Booth, E. Awad, and I. Rahwan (2014). Interval Methods for Judgment Aggregation in Argumentation. In: Proc. 14th Int. Conference on Principles of Knowledge Representation and Reasoning (KR), Vienna. R. Booth, M. Caminada, M. Podlaszewski, and I. Rahwan (2012). Quantifying Disagreement in Argument-based Reasoning. In: Proc. 11th Int. Conference on Autonomous Agents and Multi-Agent Systems (AAMAS), Valencia, Spain. I. Rahwan, F. Jahedpari and S. Abdallah (2010). The Dynamics of Two Cognitive Heuristics for Coordination on Networks. In: Proceedings of the 2nd IEEE International Conference on Social Computing (SocialCom), Minneapolis, USA, pages 473-479. S. Pan, K. Larson and I. Rahwan (2010). Argumentation Mechanism Design for Preferred Semantics. In: Proceedings of the 3rd International Conference on Computational Models of Argument (COMMA), Italy, pages 403-414. I. Rahwan, J. F. Bonnefon, M. I. Madakkatel, R. N. Awan and S. Abdallah (2010). Experiments for Assessing Floating Reinstatement in Argument-based Reasoning. In: Proceedings of the Annual meeting of the Cognitive Science Society (CogSci), Portland, Oregon. I. Rahwan and F. Tohmé (2010). Collective Argument Evaluation as Judgement Aggregation. In: Proceedings of the 9th International Joint Conference on Autonomous Agents and Multiagent Systems (AAMAS), Toronto, Canada. A. Belesiotis, M. Rovatsos and I. Rahwan (2010). Agreeing on Plans through Iterated Disputes. In: Proceedings of the 9th International Joint Conference on Autonomous Agents and Multiagent Systems (AAMAS), Toronto, Canada. I. Rahwan and F. Tohmé (2010). Judgement Aggregation Over Conflicting Arguments: An Extended Abstract. In: Proceedings of the 9th Conference on Logic and the Foundations of Game and Decision Theory (LOFT), Toulouse, France. M. I. Madakkatel, I. Rahwan, J. F. Bonnefon, R. N. Awan and S. Abdallah (2009). Formal Argumentation and Human Reasoning: The Case of Reinstatement. In: Proceedings of the AAAI Fall Symposium on The Uses of Computational Argumentation, Washington DC, USA. I. Rahwan, K. Larson and F. Tohmé (2009). A Characterisation of Strategy-Proofness for Grounded Argumentation Semantics. In: Proceedings of the 21st International Joint Conference on Artificial Intelligence (IJCAI), Pasadena, California, USA. Y. Gal, S. D'souza, P. Pasquier, I. Rahwan and S. Abdallah (2009). The Effects of Goal Revelation on Computer-Mediated Negotiation. In: Proceedings of the Annual meeting of the Cognitive Science Society (CogSci), Amsterdam, The Netherlands. A. Alshamsi, S. Abdallah and I. Rahwan (2009). Multiagent Self-Organization for a Taxi Dispatch System. In: Proceedings of the 8th International Conference on Autonomous Agents and Multiagent Systems (AAMAS), Inustry Track, Budapest, Hungary. I. Rahwan and K. Larson (2008). Pareto Optimality in Abstract Argumentation. In: Proceedings of 23rd Conference on Artificial Intelligence (AAAI). AAAI Press, California, USA, pages 150-155. I. Rahwan and K. Larson (2008). Mechanism Design for Abstract Argumentation. In: Proceedings of 7th International Conference on Autonomous Agents and Multiagent Systems (AAMAS). Estoril, Portugal, pages 1031-1038. I. Rahwan and B. Banihashemi (2008). Arguments in OWL: A Progress Report. In A. Hunter (Ed. ), Proceedings of the 2nd International Conference on Computational Models of Argument (COMMA), Toulouse, France. IOS Press, Amsterdam, The Netherlands, pages 297-310. I. Rahwan, F. Zablith, and C. Reed (2007). Towards Large Scale Argumentation Support on the Semantic Web. In: Proceedings of 22nd Conference on Artificial Intelligence (AAAI). AAAI Press, California, USA, pages 1446-1451. I. Rahwan, P. Pasquier, L. Sonenberg, and F. Dignum (2007). On the Benefits of Exploiting Underlying Goals in Argument-based Negotiation. In: Proceedings of 22nd Conference on Artificial Intelligence (AAAI). AAAI Press, California, USA, pages 116-121. P. Pasquier, L. Sonenberg, I. Rahwan, F. Dignum, R. Hollands (2007). An Empirical Study of Interest-based Negotiation. In: Proceedings of 9th International Conference on Electronic Commerce (ICEC). ACM Press, USA, pages 339-348. C. Guttmann, I. Rahwan, and M. Georgeff (2007). A Study of an Approach to the Collective Iterative Task Allocation Problem. In: Proceedings of the IEEE/WIC/ACM International Conference on Intelligent Agent Technology (IAT), IEEE Press, USA, pages 363-369. P. Pasquier, I. Rahwan, F. Dignum and L. Sonenberg (2006). Argumentation and Persuasion in the Cognitive Coherence Theory. In P. Dunne and T. Bench-Capon (Eds. ), Proceedings of the 1st International Conference on Computational Models of Argument (COMMA), Liverpool, UK. IOS Press, Amsterdam, The Netherlands, pages 223-234. I. Rahwan and P. V. Sakeer (2006). Towards Representing and Querying Arguments on the Semantic Web. In P. Dunne and T. Bench-Capon (Eds. ), Proceedings of the 1st International Conference on Computational Models of Argument (COMMA), Liverpool, UK. IOS Press, Amsterdam, The Netherlands, pages 3-14. B. Subagdja, I. Rahwan and L. Sonenberg (2006). Learning as Abductive Deliberation. In Q. Yang and G. Webb (Eds. ), PRICAI 2006: Trends in Artificial Intelligence: 9th Pacific Rim International Conference on Artificial Intelligence Guilin, China, August 7-11, 2006 Proceedings. Lecture Notes in Computer Science, Vol 4099, Springer-Verlag, Berlin, Germany, pages 11-20. I. Rahwan, L. Amgoud (2006). An Argumentation-based Approach for Practical Reasoning. Proceedings of the 5th International Joint Conference on Autonomous Agents and Multiagent Systems (AAMAS), Hakodate, Japan, ACM Press, New York, USA, pages 347-354. N. C. Karunatillake, N. R. Jennings, I. Rahwan and S. D. Ramchurn (2006). Managing Social Influences through Argumentation-based Negotiation. Proceedings of the 5th International Joint Conference on Autonomous Agents and Multiagent Systems (AAMAS), Hakodate, Japan, ACM Press, New York, USA, pages 426-428. N. C. Karunatillake, N. R. Jennings, I. Rahwan and T. Norman (2005). Argument-based Negotiation in a Social Context. Proceedings of the International Conference on Autonomous Agents and Multiagent Systems (AAMAS), Utrecht, The Netherlands, ACM Press, NY, USA, pages 1331-1332. N. C. Karunatillake, N. R. Jennings, I. Rahwan and T. Norman (2005). Arguing and Negotiating in the Presence of Social Influences. In M. Pechoucek, P. Petta, and L.Z. Varga (Eds.) Proceedings of the 4th International Central and Eastern European Conference on Multi-Agent Systems (CEEMAS), Lecture Notes in Artificial Intelligence, Vol 3690, Springer-Verlag, Berlin, Germany, pages 223-235. I. Rahwan, F. Koch, C. Graham, J. A. Kattan and L. Sonenberg (2005). Goal-directed Automated Negotiation for Supporting Mobile User Coordination. In A. Dey, B. Kokonov, D. Leake and R. Turner (Eds.) Modeling and Using Context: 5th International and Interdisciplinary Conference, CONTEXT 2005, Paris, France, July 2005, Lecture Notes in Artificial Intelligence, Vol 3554, Springer-Verlag, Berlin, Germany, pages 382-395. I. Rahwan, L. Sonenberg and F. Dignum (2003). Towards Interest-Based Negotiation. Proceedings of the 2nd International Conference on Autonomous Agents and Multi-Agent Systems (AAMAS), Melbourne, Australia, ACM Press, NY, USA, pp. 773-780. R. Ashri, I. Rahwan and M. Luck (2003). Architectures for Negotiating Agents. In V. Marik, J. Muller and Pechoucek (eds.) Multi-Agent Systems and Applications III: Proceedings of the 3rd International Central and Eastern European Conference on Multi-Agent Systems (CEEMAS), Prague, Czech Republic, volume 2691 of Lecture Notes in Artificial Intelligence, pages 136-146, Springer-Verlag, Berlin, Germany. T. Y. Chen, I. Rahwan and Y. Yang (2002). Temporal Interaction Diagrams. Proceedings of the 2002 Information Resource Management Association International Conference (IRMA), Seattle, USA, May 2002, pp 843-846. I. Rahwan, R. Kowalczyk and H. H. Pham (2002). Intelligent Agents for Automated One-to-Many E-Commerce Negotiation. Proceedings of the 25th Australasian Computer Science Conference (ACSC ), Melbourne, Australia, pp. 197-204. I. Rahwan and P. McBurney (Eds.) (2007). Special Issue on Argumentation Technology, IEEE Intelligent Systems, Vol. 22, no. 6, November/December. I. Rahwan (Ed.) (2005). Special Issue on Argumentation in Multi-Agent Systems, Journal of Autonomous Agents and Multiagent Systems. Vol 11, No 2. Rahwan, I.; Wobcke, W.; Sen, S.; Sugawara, T. (Eds.) (2012). Principles and Practice of Multi-Agent Systems. 15th International Conference, PRIMA. Lecture Notes in Computer Science, Vol. 7455, Springer. P. McBurney, S. Parsons and I. Rahwan (Eds.) (2012). Argumentation in Multi-Agent Systems. Eighth International Workshop, ArgMAS 2011. Taipei, Taiwan, May 2011, Revised, Selected and Invited Papers. Lecture Notes in Computer Science, Volume 7543. Springer-Verlag, Berlin, Germany. P. McBurney, I. Rahwan, and S. Parsons (Eds.) (2011). Argumentation in Multi-Agent Systems, 7th International Workshop, ArgMAS 2010, Toronto, Canada, May 10, 2010. Revised Selected and Invited Papers, Lecture Notes in Artificial Intelligence, Volume 6614, Springer-Verlag, Berlin, Germany. P. McBurney, I. Rahwan, S. Parsons, and N. Maudet (Eds.) (2010). Argumentation in Multi-Agent Systems, 6th International Workshop, ArgMAS 2009, Budapest, Hungary, May 12, 2009. Revised Selected and Invited Papers, Lecture Notes in Artificial Intelligence, Volume 6057, Springer-Verlag, Berlin, Germany. I. Rahwan and G. R. Simari (Eds.) (2009). Argumentation in Artificial Intelligence, Springer. I. Rahwan and P. Moraitis (Eds.) (2009). Argumentation in Multi-Agent Systems: Fifth International Workshop, ArgMAS 2008, Estoril, Portugal, May 2008 Revised Selected and Invited Papers, Lecture Notes in Artificial Intelligence, Volume 5384, Springer-Verlag, Berlin, Germany. I. Rahwan, S. Parsons, and C. Reed (Eds.) (2008). Argumentation in Multi-Agent Systems: Forth International Workshop, ArgMAS 2007, Honolulu, HI, USA, May 2007 Revised Selected and Invited Papers, Lecture Notes in Artificial Intelligence, Volume 4946, Springer-Verlag, Berlin, Germany. N. Maudet, S. Parsons and I. Rahwan (Eds.) (2007). Argumentation in Multi-Agent Systems: Third International Workshop, ArgMAS 2006 Hakodate, Japan, May 8, 2006 Revised Selected and Invited Papers, Lecture Notes in Artificial Intelligence, Volume 4766, Springer-Verlag, Berlin, Germany. S. Parsons, N. Maudet, P. Moraitis, and I. Rahwan (Eds.) (2006). Argumentation in Multi-Agent Systems: Second International Workshop, ArgMAS 2005, Utrecht, Netherlands, July 26, 2005, Revised Selected and Invited Papers, Lecture Notes in Artificial Intelligence, Volume 4049, Springer-Verlag, Berlin, Germany. I. Rahwan, P. Moraitis and C. Reed (Eds.) (2005). Argumentation in Multi-Agent Systems: Proceedings of the First International Workshop (ArgMAS'04): Expanded and Invited Contributions, Lecture Notes in Artificial Intelligence, Volume 3366, Springer-Verlag, Berlin, Germany. L. Coviello, M. Franceschetti, I. Rahwan (2015). Limits of Friendship Networks in Predicting Epidemic Risk. Workshop on Information in Networks, (WIN), New York. A. Shariff, J.-F. Bonnefon, A.-P. Toth, I. Rahwan (2015). Tragedy of the Forum: Social visibility distorts moral decision-making and suppresses utilitarianism. Workshop on Information in Networks, (WIN), New York. I. Rahwan, D. Krasnoshtan, A. Shariff, and J. F. Bonnefon (2015). Analytical reasoning task reveals limits of social learning in networks. Workshop on Information in Networks, (WIN), New York. E. Awad, B. LeVeck, I. Rahwan (2015).The Rich Club Phenomenon in the Networks of International Relations. Workshop on Information in Networks, (WIN), New York. A. Alshamsi, E. Awad, M. Almehrezi, V. Babushkin, P.-J. Chang, Z. Shoroye, A.-P. Toth, I. Rahwan (2015). Misery Loves Company: Happiness and Communication in the City. Workshop on Information in Networks, (WIN), New York. A. Alshamsi, F. Pianesi, B. Lepri, A. Pentland, I. Rahwan (2014). Beyond contagion: High-resolution face-to-face interaction measurement reveals complex patterns of social influence. . In: International School and Conference on Network Science (NetSci), Berkeley. I. Rahwan, D. Krasnoshtan, A. Shariff, and J. F. Bonnefon (2014). Analytical reasoning task reveals limits of social learning in networks. In: International School and Conference on Network Science (NetSci), Berkeley. I. Rahwan, D. Krasnoshtan, A. Shariff, and J. F. Bonnefon (2014). Analytical reasoning task reveals limits of social learning in networks. In: Collective Intelligence, MIT. E. Awad, R. Booth, F. Tohme, I. Rahwan (2014). Limits of Collective Judgement in Contested Domains: The Case of Conflicting Arguments. In: Collective Intelligence, MIT. N. Stefanovitch, A. Alshamsi, M. Cebrian, I. Rahwan (2014). Error and attack tolerance of collective problem solving: the DARPA Shredder Challenge. In: Machine Learning and Data Analytics Symposium (MLDAS), Doha. R. Booth, E. Awad, I. Rahwan (2014). Interval methods for judgment aggregation in argumentation. In: 5th Int. Workshop on Computational Social Choice (COMSOC), Pittsburgh. A. Alshamsi, B. Lepri, I. Rahwan, F. Pianesi, A. Pentland (2013). Nature vs. Situation in Social Influence. In: Workshop on Information in Networks (WIN), NYU. A. Mani, C. M. Loock, I. Rahwan, T. Staake, E. Fleisch, A. Pentland (2013). Fostering Peer Interaction to Save Energy. In: Behavior, Energy and Climate Change Conferece, Sacramento. A. Mani, C. M. Loock, I. Rahwan, T. Staake, E. Fleisch, A. Pentland (2013). Fostering Peer Interaction to Save Energy. . In: International School and Conference on Network Science (NetSci), Copenhagen. I. Rahwan, A. Rutherford, M. Cebrian (2013). You Can Run, But You Can Hide: Social Mobilization in a Global Manhunt. In: International School and Conference on Network Science (NetSci), Copenhagen. A. Rutherford, S. Dsouza, M. Cebrian, E. Moro, I. Rahwan (2012). Social Mobilization in Context. In: Interdisciplinary Workshop on Information and Decision in Social Networks (WIDS), MIT, Cambridge. A. Rutherford, S. Dsouza, M. Cebrian, E. Moro, I. Rahwan (2012). Social Mobilization in Context. In: International School and Conference on Network Science (NetSci), Chicago. A. Mani, I. Rahwan, A. Pentland (2011).Localized Externalities and Peer-Pressure in Social Networks: Free-riding, Co-ordination and Efficiency. In: Workshop on Information in Networks (WIN), NYU, New York. A. Mani, I. Rahwan, A. Pentland (2011). Localizing Externalities in Social Networks: Inducing Peer Pressure to Enforce Socially Efficient Outcomes. In: Interdisciplinary Workshop on Information and Decision in Social Networks (WIDS), MIT, Cambridge. A. Mani, I. Rahwan, and A. Pentland (2010). Localizing Externalities in Social Networks: Inducing Peer Pressure to Enforce Socially Efficient Outcomes. In: Proceedings of the Workshop on Information in Networks (WIN), New York. N. Maudet, S. Parsons and I. Rahwan (2007). Argumentation in Multi-Agent Systems: Context and Recent Developments. In Proceedings of the AAMAS International Workshop on Argumentation in Multi-Agent Systems (ArgMAS), Hakodate, Japan, Lecture Notes in Artificial Intelligence, Volume 4766, Springer, pages 35-52. P. Pasquier, F. Dignum, I. Rahwan, L. Sonenberg (2006). Interest-based Negotiation as an Extension of Monotonic Bargaining in 3APL. In Z. Shi and R. Sanadanda (Eds.) Agent Computing and Multi-Agent Systems: 9th Pacific Rim International Workshop on Multi-Agents, PRIMA 2006, Guilin, China, August 7-8, 2006. Proceedings. Lecture notes in Computer Science, Vol 4088, Springer-Verlag, Berlin, Germany, pages 569-580. I. Rahwan and P. V. Sakeer (2006). Representing and Querying Arguments in RDF. Proceedings of the ECAI Workshop on Computational Models of Natural Argument (CMNA), Riva del Garda, Italy, August 2006, pages 62-66. N. C. Karunatillake, N. R. Jennings, I. Rahwan and S. D. Ramchurn (2007). Managing Social Influences Through Argumentation-Based Negotiation. In Proceedings of the AAMAS International Workshop on Argumentation in Multi-Agent Systems (ArgMAS), Hakodate, Japan, Lecture Notes in Artificial Intelligence, Volume 4766, Springer, pages 35-52. N. C. Karunatillake, N. R. Jennings, I. Rahwan and T. Norman (2006). Argument-based Negotiation in a Social Context. In S. Parsons, N. Maudet, P. Moraitis, I. Rahwan and (Eds.) Argumentation in Multi-Agent Systems: Second International Workshop, ArgMAS 2005 Utrecht, The Netherlands, July 26, 2005 Revised Selected and Invited Papers, Lecture Notes in Artificial Intelligence, Vol 4049, Springer-Verlag, Berlin, Germany, pages 104-121. M. Rovatsos, I. Rahwan, F. Fischer and G. Weiss (2006). Practical Strategic Reasoning and Adaptation in Rational Argument-Based Negotiation. In S. Parsons, N. Maudet, P. Moraitis, I. Rahwan and (Eds.) Argumentation in Multi-Agent Systems: Second International Workshop, ArgMAS 2005 Utrecht, The Netherlands, July 26, 2005 Revised Selected and Invited Papers, Lecture Notes in Artificial Intelligence, Vol 4049, Springer-Verlag, Berlin, Germany, pages 122-137. I. Rahwan, L. Sonenberg and P. McBurney (2005). Bargaining and Argument-based Negotiation: Some Preliminary Comparisons. In I. Rahwan, P. Moraitis and C. Reed (eds. ), Argumentation in Multi-Agent Systems: Proceedings of the First International Workshop (ArgMAS'04): Expanded and Invited Contributions, Lecture Notes in Artificial Intelligence, Vol 3366, Springer-Verlag, Berlin, Germany. F. L. Koch and I. Rahwan (2005). The Role of Agents in Intelligent Mobile Services. In M. Barley, N. Kasabov (eds. ), Intelligent Agents and Multi-Agent Systems VII, Proceedings of the 7th Pacific Rim International Workshop on Multi-Agents (PRIMA), volume 3371 of Lecture Notes in Artificial Intelligence, Springer-Verlag, Berlin, Germany. I. Rahwan, C. Graham, and L. Sonenberg (2005). Supporting Impromptu Coordination Using Automated Negotiation. In M. Barley, N. Kasabov (eds. ), Intelligent Agents and Multi-Agent Systems VII, Proceedings of the 7th Pacific Rim International Workshop on Multi-Agents (PRIMA), volume 3371 of Lecture Notes in Artificial Intelligence, Springer-Verlag, Berlin, Germany. F. L. Koch and I. Rahwan (2004). Classification of Agent-based Mobile Assistants. Proceedings of the AAMAS Workshop on Agents for Ubiquitous Computing, New York NY, USA. T. Rahwan, T. Rahwan, I. Rahwan and R. Ashri (2004). Agent-based Support for Mobile Users using AgentSpeak(L). In P. Giorgini, B. Henderson-Sellers and M. Winikoff (eds. ), Agent-Oriented Information Systems, volume 3030 of Lecture Notes in Artificial Intelligence, pages 45-60, Springer-Verlag, Berlin, Germany. I. Rahwan, L. Sonenberg and F. Dignum (2004). On Interest-Based Negotiation. In F. Dignum and M-P. Huget (eds.) Advances in Agent Communication, volume 2922 of Lecture Notes in Artificial Intelligence, pages 383-401, Springer-Verlag, Berlin, Germany. I. Rahwan, P. McBurney and L. Sonenberg (2003). Towards a Theory of Negotiation Strategy (A Preliminary Report). Proceedings of the AAMAS Workshop on Game Theoretic and Decision Theoretic Agents (GTDT), 14 July 2003, Melbourne, Australia. I. Rahwan, R. Kowalczyk and Y. Yang (2001). Virtual Enterprise Design - BDI Agents vs. Objects. In R. Kowalczyk and M. Lee (Eds.) Advances in Artificial Intelligence, volume 2112 of Lecture Notes in Artificial Intelligence, pages 147-157, Springer-Verlag, Berlin, Germany. (Also appeared in the Proceedings of the PRICAI 2000 Workshop on AI in E-Commerce). 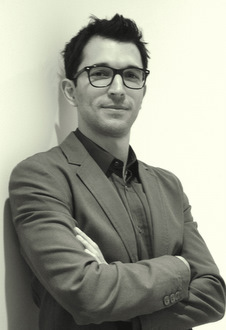 I. Rahwan (2013). Argumentation Among Agents. In G. Weiss (Ed.). Multiagent Systems. 2nd edition. MIT Press. S. Fatima and I. Rahwan (2013). Negotiation and Bargaining. In G. Weiss (Ed.). Multiagent Systems. 2nd edition. MIT Press. I. Rahwan and C. Reed (2009). The Argument Interchange Format. In I. Rahwan and G. R. Simari (Eds.) Argumentation in Artificial Intelligence, Springer, pages 383-402. I. Rahwan and K. Larson (2009). Argumentation and Game Theory. In I. Rahwan and G. R. Simari (Eds.) Argumentation in Artificial Intelligence, Springer, pages 321-339. A. Fellah, I. Rahwan and A. Maamir (2003). Information Flow Control Using Versions In Object-Oriented Systems. In R. D. Kent and T. W. Sands (Eds.). High Performance Computing Systems and Applications. Kluwer Academic Publishers, Boston, 2003. T. Y. Chen, I. Rahwan and Y. Yang (2003). Temporal Interaction Diagrams for Multi-Process Environments. In S. J. Lloyd and J. Peckham (Eds.) Practicing Software Engineering in the 21st Century. Chapter 10, pages 143-155, IRM Press, USA, 2003. I. Rahwan (2007). On "Write Only" Conferences. IEEE Intelligent Systems. Vol 22, Issue 2, March/April. I. Rahwan (2004). Interest-based Negotiation in Multi-Agent Systems. Ph.D. Thesis, University of Melbourne. Papers above which are published by AAAI Press are all copyright © of the Association for the Advancement of Artificial Intelligence. They are also available through the AAAI Web site.